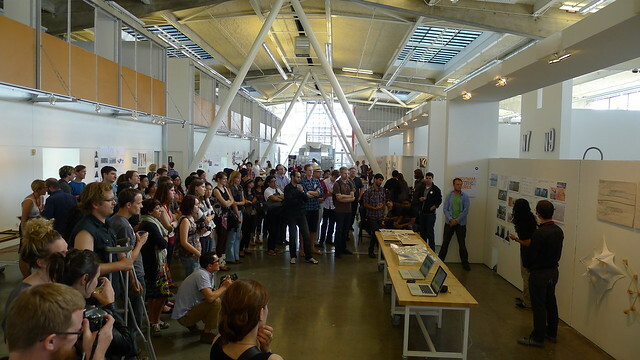 The Final Show of the San Francisco Visiting School was held on Friday, July 22 at CCA in San Francisco. 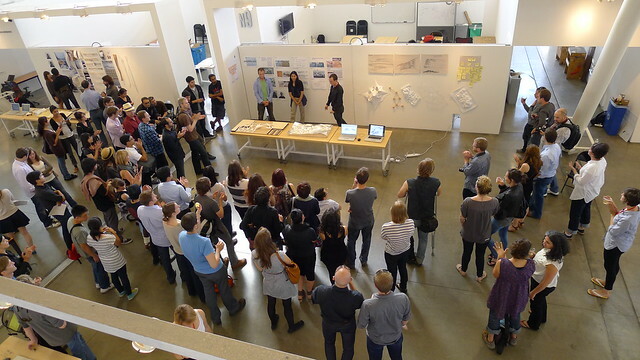 After two intensive weeks of workshops, 45 students from 16 countries presented their final design projects to a large group of visiting critics and the public. 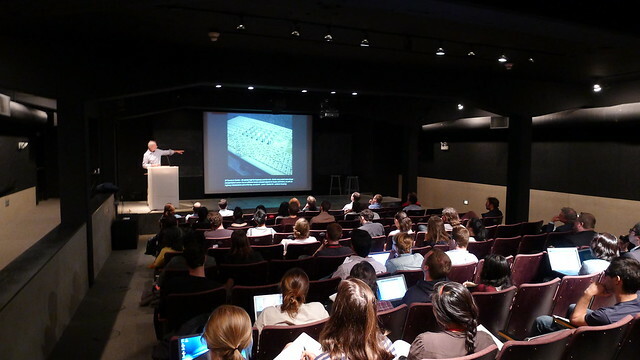 This year the students broke into three unique groups each with their own program and focus. These included: “Luminous Hybrid” (Jason Kelly Johnson and Andy Payne), “China Basin Pedestrian Bridge” (Andrew Kudless with Gil Akos and Ronnie Parsons), and “China Basin Pavilion” with Evan Greenberg and Christina Doumpioti. 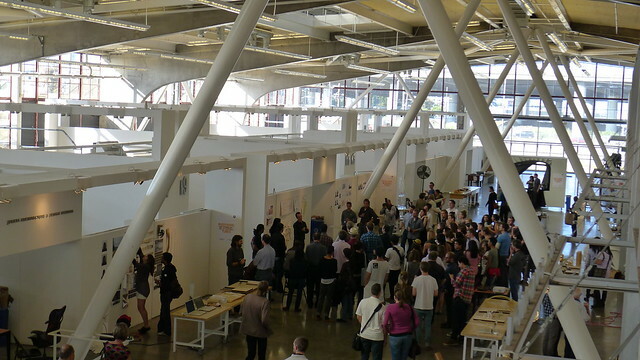 There was an extraordinary range of experimental drawings, models and animations presented by the students. 2011 Sponsors: McNeel & Associates (Seattle, WA); SOM (Skidmore Owings and Merrill); Kreysler & Associates Digital Fabrication.